The road to being a comfortable, confident diver is paved with Specialty Courses! Here are some of the specialty courses we offer at Sonoma Coast Divers. Our trained, professional staff will spend the time you need to master these advanced skills. We're here to put a program together that fit with your diving needs and interests! Begin with the Advanced Adventurer Program and go from there! Who knows where the confidence of learning these skills will take you! Maybe all the way into our Professional Level Certifications! If you're a diver in today's world, you really should have your own computer that you know how to use. There are so many out there, how do you know what's best for you? When you come into our shop, we're going to make sure you find the best product to fit your diving needs, that includes knowing how to use it! We'll fit you with a computer that matches your diving interests and your budget, and we can tell you everything you need to know about how to use it. Learn the ins and outs of your new or existing dive computer. What are the benefits of diving with a computer? How are dives stored in the logbook? Is there a backlight? What is RGBM and why do I want it in my dive computer? What if I want to log my dives on my home PC or Mac? We can give you the answers! Make sure your next dive is the safest it can be, dive with the safety of a computer! Without the proper training, deep diving can be a hazardous activity. We'll give you the skills, knowledge and experience you need to properly plan and execute a deep dive. Knowing the hazards and the risks of going deeper will make you a more confident diver who is prepared for the next dive! Deep diving opens up a whole new world of wrecks, canyons, and advanced dives that may otherwise be out of your comfort zone. The skills you learn in this class will apply to almost every dive you do. Don't be left out in the cold! Drysuit diving is a fun and easy way to stay warm and to continue to enjoy the spectacular marine environment we have right in our own backyard! Learn how to choose the right drysuit and undergarment for you, proper inflating and venting techniques, as well as care and maintenance of your suit. Enriched Air Nitrox is a blended gas that had more oxygen in it than regular compressed air. The additional oxygen levels allow you to stay down longer as you are absorbing less nitrogen on your dive. This lets you do longer dives in a shorter period of time, but also requires you stay at shallower depths. Many people report feeling less tired after diving with Nitrox as well. Learn all the benefits and hazards of diving with Nitrox, how to analyze a tank to know exactly the O2 content, the special equipment you may need, and how Nitrox affects your body. This is a classroom-only course that is usually completed in a few hours. Just read the book, do the homework, come in for an evening of instruction and you are ready to dive! The Nitrox Courses are $185 for course instruction and certificaiton card. Diving from a kayak will give you access to many dive sites that aren't easily reached form shore. How do you get on and off your kayak without rolling it·over and dumping all your gear? (Ha! Don't ask Pam!) Your Instructors will show you! The intricacies of diving from a kayak are simple but not always easily mastered! We'll give you the skills to assess ocean conditions for kayaking, diving from and around a kayak, entries and exits,and transporting your equipment. This course is better applied to a kayak of your own, but we do have them available to rent on a limited basis in case you just want to see what it's about. This is an ocean-diving only course, there are no materials, test, or classroom portions to take. Knowing what you're looking at is always a good thing. Learn all about our underwater environment and how to spot those hard-to-find creatures! We'll teach about the different types of fish, invertebrates, and nudibranchs we all know and love. It's a fun and easy way to get familiar with your local dive sites. There are no formal books for this course, just Fish ID books for regions all over the world, owning one of these will enhance your experience now and in the future but is not required. Diving at night can give you that same feeling of adventure you felt during your first open water dives. It's a mystical world where bigger, different life comes out of their daylight slumber. If you've got the skills and a bright flashlight, you're ready to see what these creatures are like! The Night and Limited Visibility Course will teach you about diving in turbid (low vis) water, skills to keep you in contact with your buddy, specialized equipment you will need, and what to do if problems arise. Navigational skills are an essential part of diving in California.But even if you do only dive in the tropics, these are still skills that will benefit you. Learn the intricacies of compass-use, how to use the natural terrain to know where you are, planning a dive, navigational patterns,adjusting for current, swell and more. It's a fun class that will help you feel more comfortable diving on our coastline or anywhere! Mastering neutral buoyancy is a skill that every diver struggles with. The feeling of perfect buoyancy is hard to achieve and fleeting once you've got it. Then you buy a new wetsuit or add a layer and you start all over again! We can give you the skills you need to know what to do for every situation and type of equipment. This course is really taken every time you dive with one of our instructors- it's not something you pay extra for. When you come diving with the instructors and dive masters of Sonoma Coast Divers, we're going to give you the basic instruction for perfect buoyancy, air consumption tips, and even working with your computer. It's all part of diving with an experienced staff and learning to be a well-rounded diver. There are times when you just need to find and recover something, whether it's pirate treasure or your buddy's weight belt, having the right skills to do the job will make it easier and safer. 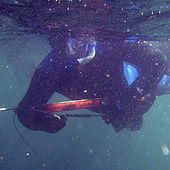 The Search and Recovery course consists of learning about search patterns, use of ropes and compasses, using lift bags, and running a team of divers to lift a heavy object off the bottom. The Stress and Rescue Course is one of the most important courses a diver can take. It teaches you essential skills in stress management, a lost diver scenario, what to do with a panicked diver and more. We think this is such an important course that it has it's own page on our website. Please visit it by clicking here. This is a fun and exciting way for you to being the underwater world to life for your land-based friends and family! Learning how to take great underwater photos is so easy, you'll wish you did it years ago! You'll learn all about today's digital world of cameras, underwater housings, what you should look for in a system, functions and settings, external lights and more. This course can be taken in the pool or open water depending on the time of year and what your preferences are. Not only will we talk about diving techniques and water skills, but also editing your images and knowing what you can do to make your photos better. We sell many full lines of camera equipment, there are so many options when it comes to choosing the right set for you. Let us help point you in the right direction for your skill level now and for future interests! Underwater video can bring your diving skills to a whole new level! Having perfect buoyancy and a steady hand is a must! But learning the ins and outs of taking great video starts with a desire to document what you see. It's a fun way to show your friends and family just what diving is all about- and maybe even gain some new dive buddies in the process! There are many options when it comes to video equipment, we'll help you choose the right system for you! The underwater world has many creatures in it... some are colorful and beautiful, some camouflaged, some have spines. How do you know which ones you can eat? Let us help you! There are many factors that come into play when you're heading to the coast for a day of hunting. WHerecan you take what you're looking to shoot? What are the minimum size requirements for the fish or invertebrate you're looking for? How many can you take? We'll help you sort all the confusion in the Fish and Game rules and regulations as well as common fish identification. It's a fun way to bring home a tasty dinner! The allure of underwater shipwrecks is part of what drew Jacques Cousteau into the sea all those decades ago. 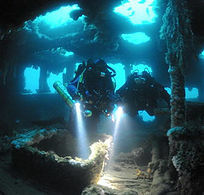 Find out what all the fuss is about in the SSI Wreck Diver course. Even if you don't find the wrecks themselves particularly interesting, when you see the abundant life and growth these artificial reefs attract you'll likely become hooked! There are many different types of wrecks: from pieces of wreckage strewn about the bottom, small sailboats and tugs, to huge ships 300 feet long. Knowing what to do to find the wreck you're looking for and how to dive around a large object is essential before venturing onto some of these wrecks. It's a fascinating way to see history frozen in time, as well as some of those creatures you won't find over the shallow reef.